Vladimir Putin returns to Russia’s presidency with a czarist-like agenda which could result in domestic upheaval and echoes of the Cold War. Last week Putin, the two-term former Russian president and current prime minister, won his third term as president with 64 percent of the tainted vote. Domestic and international poll observers documented widespread voting fraud such as “carousels,” where people are bussed around to vote several times at different polling stations. Voter fraud is symptomatic of the greater problems Russia faces under a new Putin presidency. The reminted president-elect returns with a no-change agenda which appeals to his traditional electorate base but could spur rebellion. A status-quo agenda will earn Putin a resounding “Dostali!”—“We are fed up!”—from Russian civil society. Russia has awakened and won’t be satisfied with more slow economic growth, corruption, and czarist-like leadership that rests on military might, intimidation, and suspicion of the West. “If Putin thinks he can continue without changing anything, he is deceiving himself,” said Konstantin Remchukov, editor-in-chief of Russian newspaper Nezavisimaya Gazeta . He cautions Putin has little time to change, or “we’ll be very close to Tahrir Square crowds,” the Egyptian revolt that overturned that government in early 2011. Consider how Putin might tackle three key challenges, and the implications for each. First, Putin faces a serious domestic, political and social challenge. He wrote in The Washington Post “Our society is completely different from what it was at the turn of the 20th century.” Putin’s comments shed insight onto Russia’s anxious middle class, but his actions don’t match his words. Over the past dozen years as president and prime minister, Putin ended direct elections for regional governors; he has also worked to marginalize political opposition, the judiciary, news media, and the parliament (Duma). No wonder Russians filled the streets to protest when Putin said he intended to return to the Kremlin and then played host to corruption-filled Duma elections in December. Now Putin promises serious reform, but many Russians are skeptical. 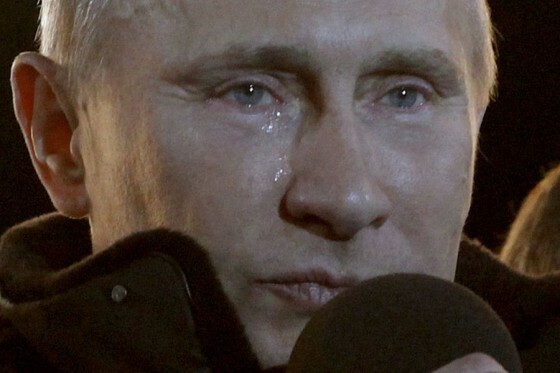 In the past, when under pressure, Putin blamed the West for his problems. For example, he blamed Secretary of State Hillary Clinton for inciting unrest with her call for an investigation of fraud in the December Duma elections. But any reforms Putin does undertake will likely be half-measures. For example, he will never embrace government reform that dismantles connections among security forces, government bureaucracies, and loyalist businesses. These form his power base. He may permit new political parties, but at the same time impose rules that make it impossible for those parties to build coalitions to oppose his rule. He may also argue for delaying major electoral reform to avoid fueling ethnic tensions. Second, Putin faces significant economic challenges. Putin labeled U.S. economic policies “hooliganism” because America imports more products than it exports and suffers growing debt. He explained that Russia does not “have the luxury for such hooliganism,” but offered no real solutions for Russia’s chronically ill economy, only a wish list. Russia’s current President Dmitry Medvedev described his economy as “chronically backward,” “primitive,” dependent on “raw materials” and ignoring “the needs of the people.” Indeed, Russia’s mostly state-controlled, command economy, which derives 85 percent of its revenues from raw material exports like oil and gas, has an uncompetitive industrial base and a limited service sector. During the electoral campaign, Putin promised to jump-start Russia’s ailing economy by modernizing and privatizing its economy with Western investment and technology. But Europe, the expected source of both, now faces economic crises and is turning its back on Moscow. Putin’s other economic policies are stale. His newspaper articles indicate he favors state-led innovation and the creation of a “Union of Europe” free trade region that primarily serves the state. He advocates Russia’s accession to the World Trade Organization, but admits he wants to increase state support—read “subsidies”—to agriculture. He also promises to radically improve the business climate by infusing it with government loans. In addition, he commits to improve education, health care and wages; provide more affordable housing; and increase welfare checks, but fails to explain how he would finance these promises. Finally, Putin faces security challenges from the U.S. and NATO. NATO’S eastward expansion and U.S.-hosted wars in Iraq, Afghanistan and Libya have put international pressure on Russia. This pressure might explain why Putin seeks to re-assert Russia’s influence among former Soviet republics and rebuild a muscular foreign policy. Putin has shaped a foreign policy focused on the former Soviet states to keep them from NATO and the U.S.’s grasp, through economic and security arrangements such as the Customs Union and the Commonwealth of Independent States’ Collective Security Treaty Organization. These organizations and others bolster Moscow’s influence by creating free-trade zones and addressing shared security problems. Russia is also rebuilding its military presence across the former Soviet states. It is negotiating with Azerbaijan to maintain the Gabala radar station, negotiating a second base in Kyrgyzstan and extending a military lease in Tajikistan. Russia also recently extended its military base lease in Armenia and signed a lease for a new naval base in Ukraine. Expect more of the same in the future. Augmenting these plans, Putin intends to heavily invest in modern expeditionary forces, strategic assets such as aircraft carriers, nuclear submarines, fifth generation fighters, and a fleet of new intercontinental ballistic missiles. Russia already has the world’s largest strategic and tactical nuclear forces. On the diplomatic stage, tensions have run high between Moscow and Western powers. Last year Russia abstained from a UN resolution that sanctioned a no-fly zone over Libya, a Russian ally. That resolution led to the Gadhafi regime’s collapse and hurt Russia both economically and diplomatically. Years earlier President George W. Bush refused to embrace Putin as an ally in the war on terror and pushed the revolutions in former Soviet states. No wonder Putin mistrusts American leaders. But he cooperates with the U.S. when it fits Russia’s interests. For example, President Barack Obama’s so-called “reset” policy earned Russian cooperation on the 2010 New Start Nuclear Arms Reduction Treaty because it reduced both nations’ weapons and platforms, mostly at Washington’s expense. Now that Putin will be back in the Kremlin, expect relations with the U.S. to become stormier. Progress on the aforementioned issues, the controversial U.S. European-based anti-missile defense and the challenge of a nuclear Iran will pose problems for Putin’s plans to build a stronger Russia.